By the way, this is a big deal! During this time of the year when our thinking is turned to the dangers of mere sentimentality in our giving, the Church continually calls us to a more robust and mature attitude about generosity and sharing the fruits of our work, which is ALWAYS for our benefit. 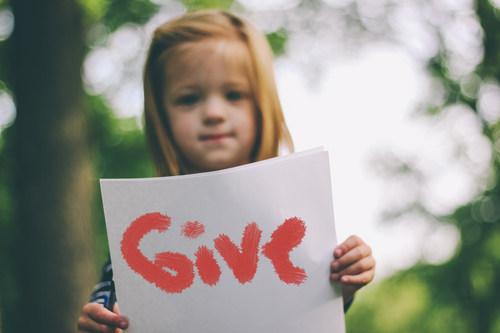 We are called to appreciate the absolute necessity of giving because this attitude of generosity works to create the character of Christ within us! The truth is work, and the blessings that come from our work, are fundamentally about our first desire and need to see our souls shaped into a fitting companion for God. If that isn’t the foundation of our thinking and attitudes then we will fall into the many “traps” for our souls that diminish the power of our work and our generosity. It’s why the Church insists that those who really are serious about their spiritual maturity, about actually practicing their faith see Almsgiving (the sharing of money or time or abilities with others who CANNOT repay them) as one of the three pillars of spiritual development. Without Almsgiving, Prayer and Fasting are incomplete. When this attitude toward generosity takes hold of your life, you are set free from the power of your possessions to possess you! You begin to see God’s character formed in your life as you fully embrace the Eternal over the Temporary. This freedom filters into every aspect of your life AND offers your children the path to this freedom as well. You CANNOT be Christian in the fullest sense of that word without generosity. So, today, allow the insights of your true spiritual need to return to a deep and intimate connection with God and with others around you for your own salvation, to mature your motivation for giving. You must give. If you don’t a serious spiritual illness in your heart (and in all our hearts) will never be healed. Learning the power of generosity to overcome the spiritual cancer of stinginess is necessary if you are ever going to enjoy being with God. Because He is the most generous and the most humble Being in the universe. And learning to be like Him is the only way you are ever going to enjoy being around Him for eternity. Today, give alms and your Father Who sees in secret will reward you openly with a free heart and a joyful life. That’s the power of generosity to make you Orthodox on Purpose! P.S. We are still very short of our goal to double our Patrons by year’s end! With only 3 weeks left, will you consider spending $5 a month to support this media ministry? 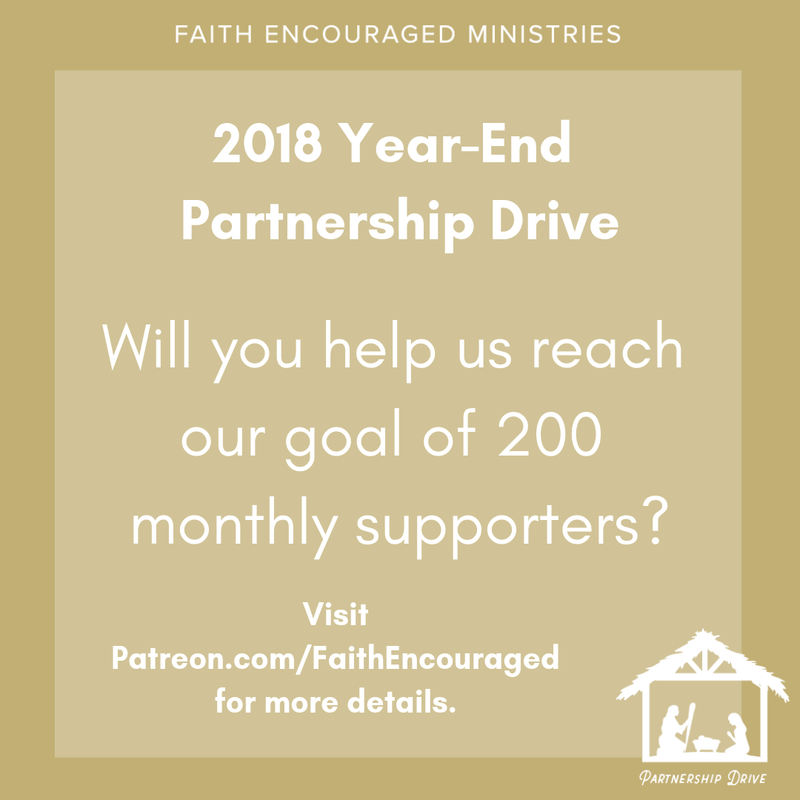 Go to Patreon.com/FaithEncouraged and find out about a special gift for all new Patrons this month! How About Giving FAITH For Christmas?